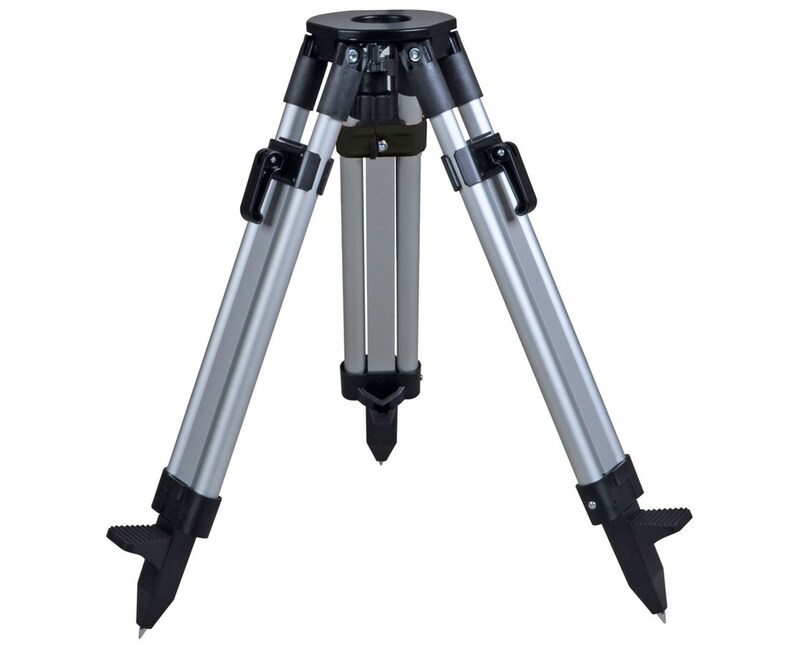 The Nedo Medium Duty Aluminum Tripod is ideal for builder levels and rotating lasers. It has a triangular flat head measuring 5.5 inches and a 5/8-inch x 11 thread. Featuring sturdy aluminum and silver anodized legs, it extends from 40 to 65 inches high. This surveying tripod also has aluminum quick-release levers that make set up a breeze and brass hinge pins for added stability. Its pointed feet are made of high-tech plastic and fitted with steel points for use in different terrains. 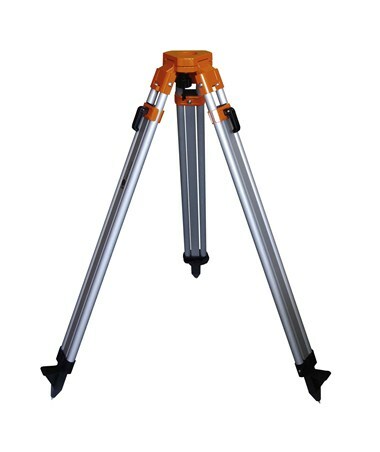 The Nedo 200621 medium duty tripod comes with a plumb bob hook that can be pushed aside if needed and a 2-year manufacturer's warranty.